﻿ Are American Manufacturers Really Exiting China? Keeping the Chinese economy rolling along in healthy numbers is seen as a large battle for China at present. The still-to-be-resolved US-China trade spat has certainly had an impact on American sentiment towards China, and US-China trade is down significantly as a result of both countries imposing tariffs on a raft of each other’s products. This has hurt some China-based US manufacturers, reliant on low tariffs within the US-China trade space to keep their China-made products competitive. There may well be longer term repercussions too, as such manufacturers are opting to transfer all or part of their China-based production to non-affected countries, such as Vietnam. Headlines such as “Would The Last Company Manufacturing In China Please Turn Off The Lights“ may apply to a small number of tight-margin US investors in China. However, the frightening headline is really designed more to attract views rather than offer an in-depth analysis. These are attention-grabbing statements (which is partly the point), but are they real? Certainly, the author does not appear to be much of a China manufacturing fan. But what about the views of the professional services firms who have a significant presence in China and also conduct business with American clients? Because if US businesses are leaving China, as a number of American lawyers and some small businesses seem to suggest, are they really closing their operations or relocating to a whole variety of other locations in Asia? These are bigger picture questions. Firstly, the good news. Although US-China bilateral trade is indeed down over the past few months, US-China investment is up. These are two different animals. The trade issue is a direct result of government policies and politics, and crucially, has not been driven by market demand. It is, in fact, a blip, which will iron itself out – albeit with some caveats – when Presidents Trump and Xi can agree to a new trade deal. What is more important is the underlying trade and investment sentiment between the US and China. American investment into China more than doubled this past quarter (2019), growing by 124.6 percent year-on-year. Although it is prudent to wait for the mid-year 2019 figures to be released to gain a larger picture of what is happening, at our firm, Dezan Shira & Associates, we can report that unlike many American firms, we are not seeing a large outflow of US-owned manufacturers in China leaving the country. Our American clients are not leaving, and although we can report some downsizing and some movement of production from China to elsewhere in Asia, it is certainly not an epidemic. We can also report that, to date, we are seeing an increase year-on-year of FDI from the US into China. Although we have seen US (and other) China-based foreign manufacturers establish operations in Vietnam, this has been an on-going trend for more than a decade. It is nothing new. 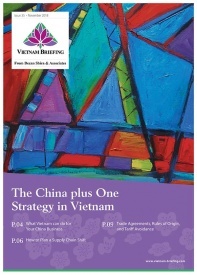 We have had offices in Hanoi and Ho Chi Minh City for over 12 years now, and the first issue of our supportive Vietnam Briefing, dated April 2008, was titled “Global Manufacturing Moving to Vietnam“. Moreover, the US-owned, China-based manufacturers who have entered the Vietnamese market have largely tended to retain their China operations – not least because many of them have an eye on the Chinese domestic market and either plan to or are already servicing domestic China demand. Malaysia: Some interest, but hidden costs and corruption issues make what should be a positive foreign investment destination somewhat awkward. There are language difficulties and some push-back against the US (Goldman Sachs’ involvement in the recent 1MDB scandal hasn’t helped) that can make business life more difficult than it ought to be. Dezan Shira & Associates maintains a partner office in Kuala Lumpur. Our comments on Malaysia’s outlook for foreign investment in 2019 are here. Cambodia: The country is small and only has one sea port. However, it is price competitive with Vietnam and has a generally good political relationship with Washington. Our comments on Cambodia’s outlook for foreign investment in 2019 are here. India: India is starting to inherit China’s title as the world’s manufacturing base, thanks in large part to its young demographics. However, it too has recently fallen foul of President Trump’s position on trade, and talks are commencing to rebalance this. India has an awkward bureaucracy, legal, and tax regime, and low-scale corruption is endemic. In the longer-term, though, India not only offers cheap manufacturing but also a large consumer market. India requires a specific investment strategy as part of a global, rather than purely US or China replacement, focus. Despite the hassles, rewards can be generous over time. Dezan Shira & Associates has maintained offices in India since 2007. 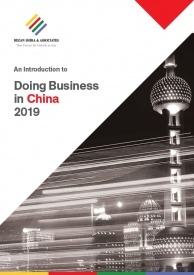 See also India Briefing and our 2019 Guide to Doing Business in India. The Philippines: The US has a long colonial and military history with the Philippines, only exiting the Clark Air Force base in 1991. Consequently, there is a sizable American expatriate community there, and English is widely spoken. A member of ASEAN, it suffers from poor infrastructure, although this is improving. Most investors are in light manufacturing or the services industries. It does support a generally high quality of life for expatriates, and we maintain a partner office in Manila. Our comments on the Philippines’ investment potential for 2019 can be found here. Indonesia: Out of all the ASEAN nations, from our perspective it is currently Indonesia that is proving the more popular. Indonesia has a relatively high education ranking, a large yet inexpensive worker capacity, and improving infrastructure, which are combining to lead the country to experience a mini boom. Indonesia enjoys reasonable relations with the US and is largely welcoming to foreigners. Dezan Shira & Associates has an office in Jakarta. Please also see our comments on 2019 Investment Opportunities in Indonesia. Turkey: The US has slapped sanctions on Turkey and has been highly critical of its government. The local currency has collapsed, and anti-US feelings run high in Ankara. It is not a viable destination for American investors at present and is unlikely to be for some time. Bangladesh, Pakistan, and Sri Lanka: Bangladesh has taken up much of what was China’s garment processing industry and is now the world’s largest garment producing nation. It is highly competitive in this field and other related industries, but issues such as child labor and basic human rights can remain a problem. Dezan Shira & Associates has a partner firm in Dhaka. Pakistan remains dangerous, and although there are a few bright spots, is currently difficult for American investors. Sri Lanka has been enjoying a tourism boom, and its infrastructure is much improving. We have a partner firm in Colombo, and the country needs assistance from investors in the tourism industry and ocean/beach sports. Singapore: There is a sizeable Asian investment destination many miss when highlighting other potential manufacturing investment locations that American businesses could look at. One is Singapore, which is the de facto regional capital for ASEAN. Many American and international businesses use Singapore as a head office rather than a manufacturing destination for their Asian affairs, although there are facilities in some of the offshore islands. As an ASEAN member, Singapore also has free trade agreements with China and India. Dezan Shira & Associates has an office in downtown Singapore. 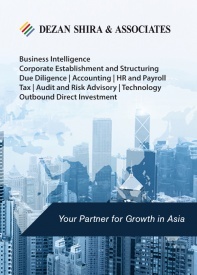 A complimentary 2019 Guide to Doing Business in Singapore can also be found here. In summary, and to answer the question posed in this article’s title, US manufacturers in China are, for the most part, staying in China. They are not leaving per se, although a handful of perhaps tight-margin smaller businesses may up sticks and depart. 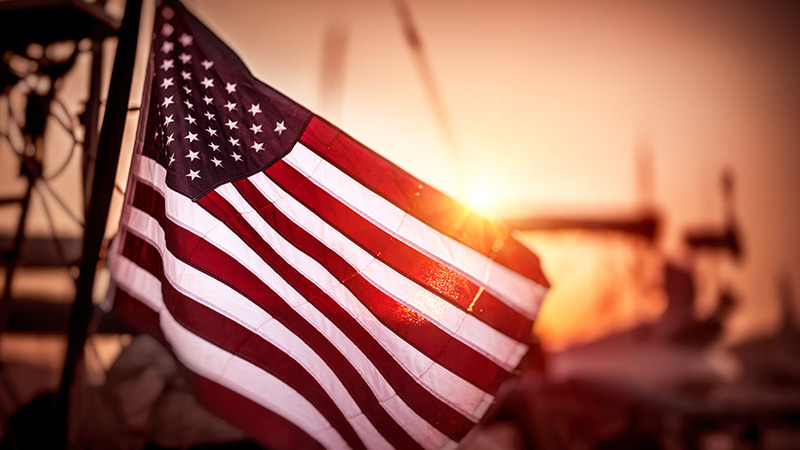 While it is true that many US manufacturers have established operations elsewhere in Asia, this is principally in Vietnam, the Philippines, and Indonesia. Many also utilize Singapore as a regional base, as it is convenient for handling pan-China-ASEAN-India administrative matters such as treasury management, banking, HR, and even dealing with customs. The real headline – and the actual story – should be: “Where are American businesses investing in Asia once they have established their China presence?” The answer, as far as Dezan Shira & Associates is concerned, is quite clear and has been for many years. “China Plus One” as a concept has, after all, been around for over a decade.